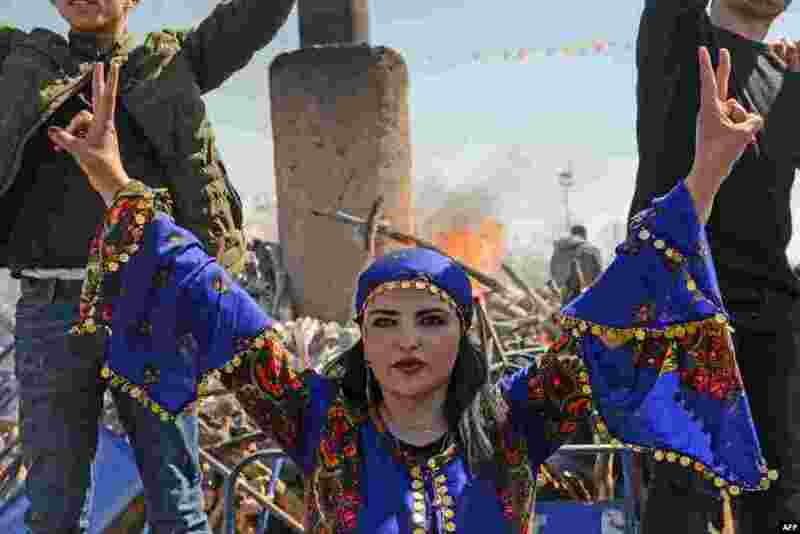 ١ A young woman flashes the victory sign in front of a bonfire as Turkish Kurds gather during Newroz celebrations for the new year in Diyarbakir, southeastern Turkey. 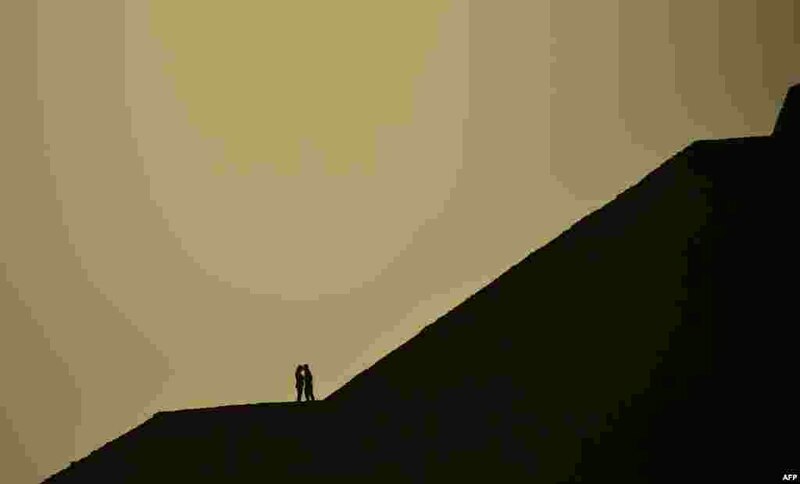 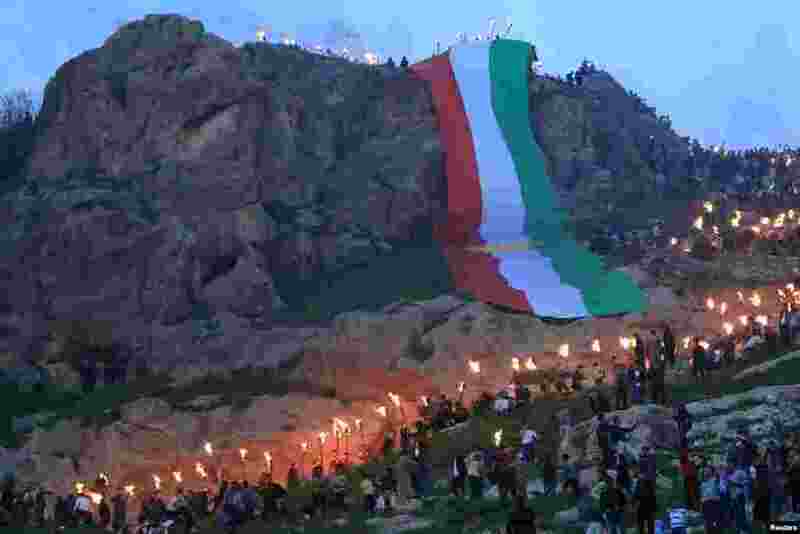 ٢ Iraqi Kurdish people carry fire torches up a mountain, as they celebrate Newroz Day, a festival marking their spring and new year, in the town of Akra, Iraq, March 20, 2018. 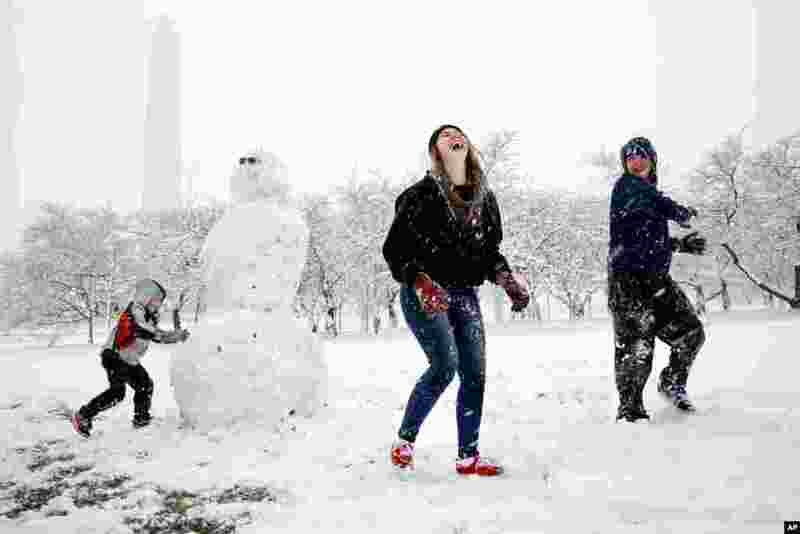 ٣ Dane Lariscy, 5, left, works on a snowman as his siblings, Amanda Lariscy, 17, and Blaze Lariscy, 15, are having a snowball fight on the National Mall during a spring snowstorm in Washington, D.C.
٤ People atop the Pyramid of the Sun in the archaeological site of Teotihuacan, in the municipality of Teotihuacan, northeast of Mexico City, are silhouetted against the morning sky during celebrations of the spring equinox.